The only way to ensure we get sufficient water, is to replenish our body by drinking it. Water and other fluids are essential to keeping us hydrated and ensuring these important functions continue to work optimally. That last one is probably the easiest way to assess your hydration status. If your urine is dark yellow / brown, there’s a good chance you’re dehydrated. What you want to see is a color that is clear to pale yellow. If you do notice that it’s darker, drink up! Try having 8-16 ounces of water and then check the color again later. While water is the best choice for getting in your fluids, you can also consume non-caffeinated tea and coffee, milk, 100% fruit or vegetable juice, or even diluted sports drinks to reach your fluid intake. Be mindful of these beverage choices, as most are not calorie free and still need to be considered with the other food choices you make that day. 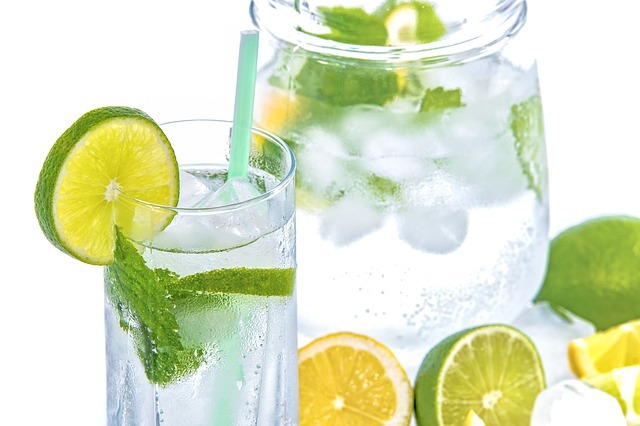 You can also spruce up your water by adding some fresh fruit for a bit of flavor or serving it hot instead of cold. Do you get enough water? How do you do it?